I’m a member of that wonderful organisation The Wildlife Art Society of Australasia and recently submitted work into their biennial (once every two years) major art exhibition called the “Wild Awards”. I couldn’t get to the opening but have just been informed that I have won the Gold Award, the major award at the show. I’m absolutely delighted as I was at a recent exhibition run by WASA and the standard of work was brilliant. I walked from piece to piece dragging my jaw along the ground, hoping one day to be as good as the other artists involved, so to have won the major show is a dream come true. This is the piece I won with. 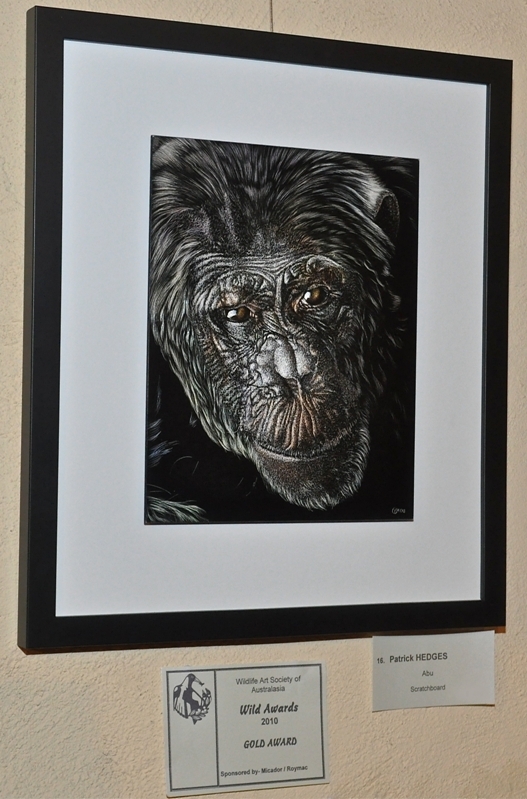 It’s a portrait of the late Abu, the alpha male at Jane Goodall Institute Chimp Eden in South Africa. (Thanks to Theresa Strunk for permission to use the original reference photo). 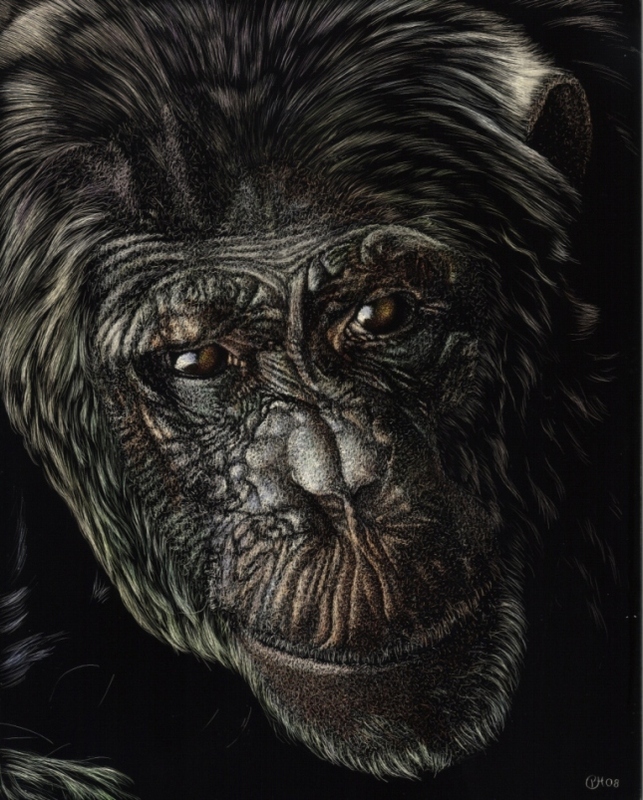 It’s a scratchboard coloured with watercolours and I’ve tried to focus on Abu’s powerful nature. Thanks to Kris Peter for sending me this photo of my work on the wall.